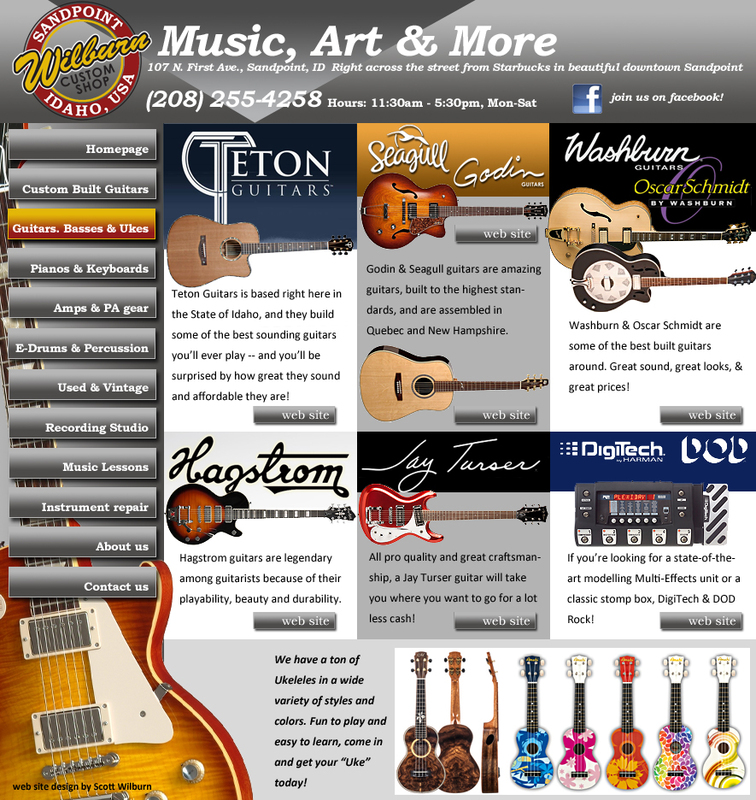 The Wilburn Custom Shop in Downtown Sandpoint Idaho sells new & used guitars, basses, ukuleles, and more. Authorized dealer for Seagull guitars, Boulder Creek guitars, Parker Guitars, Hagstrom Guitars, Washburn Guitars, Oscar Schmidt Guitars, Jay Turser Guitars, Teton Guitars, Kala Ukuleles, Amahi Ukuleles, and Diamond ukuleles. We also sell used Gibson guitars, used Gretsch guitars, used Martin guitars, used Taylor guitars, used Rickenbacker guitars and used Fender guitars. Call (208) 255-4258.